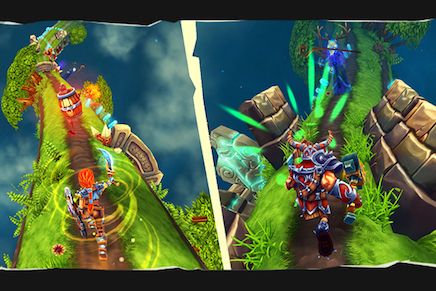 The most exciting and visually amazing running game on the App Store! 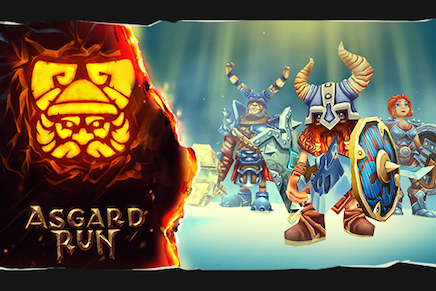 Sprint into a high-speed adventure with your chosen Viking hero on the rotating realm of Asgard. Use speedy reflexes to avoid hazards and grab awesome power-ups, timing epic attacks in running battles with gruesome mythological foes. Jump, slide, turn, and even fly across the stunning fantasy landscape in your quest to stand proud among the Gods of Asgard! – Choose your hero from a roster of fantastic champions. – Equip an array of weapons and armor offering special abilities and bonuses! – The uniquely rotating world is as dangerous as it is stunningly beautiful! – Simple but rewarding controls. Swipe to jump, slide, rotate, battle and even fly – you decide how to advance. 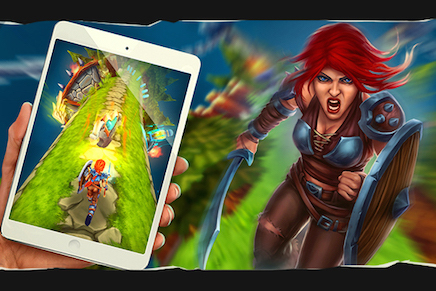 – Unlock new characters and elite weapons to unleash your wrath upon the enemies of Asgard. 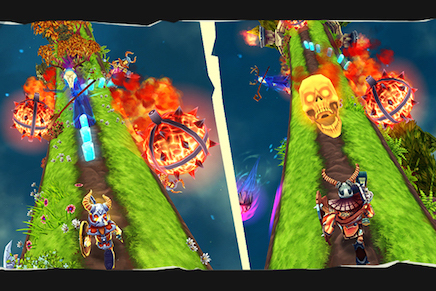 – Defeat enemies including powerful warlocks, skeleton warriors and exploding zombies! – Escape hazards such as traps, ruins, and even falling meteors! – Discover secret locations containing invaluable rewards and upgrades! 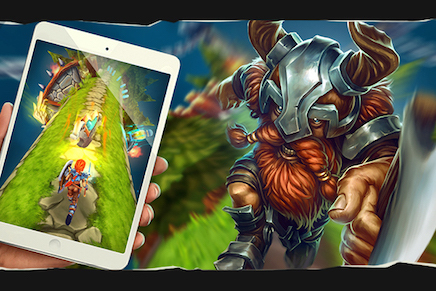 – Invite your friends to join the fight against the hordes of Helheim and challenge them for fame and glory.